The unexpected can happen anywhere at anytime. Be sure you have adequate coverage that isn't limited by borders. Whether you are traveling for a short vacation or living abroad indefinitely, having an international major medical plan can be an affordable way to ensure you are covered for any unexpected illness, injury, or medical emergency. International Medical Group has a broad selection of plans designed for every traveler's specific needs. Patriot Travel Medical Insurance is designed for international travelers looking for temporary medical insurance coverage while traveling outside of their home country. 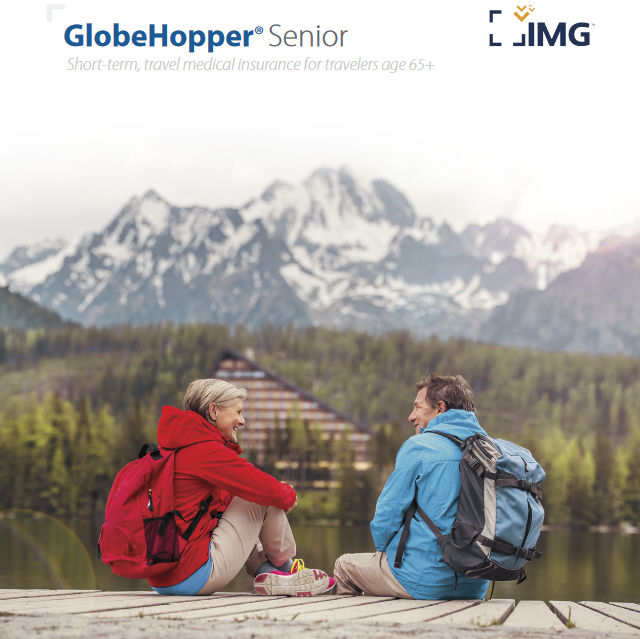 GlobeHopper Senior is designed for U.S. citizens and permanent residents ages 65+ who need temporary medical insurance while traveling outside the U.S. Global Medical Insurance is a long-term, annually renewable medical insurance program designed for U.S. citizens living abroad, and non-U.S. citizens throughout the world.